Christmas is coming! And so is the Liverpool Ice Festival, returning to the Pier Head after an amazingly successful 2016. 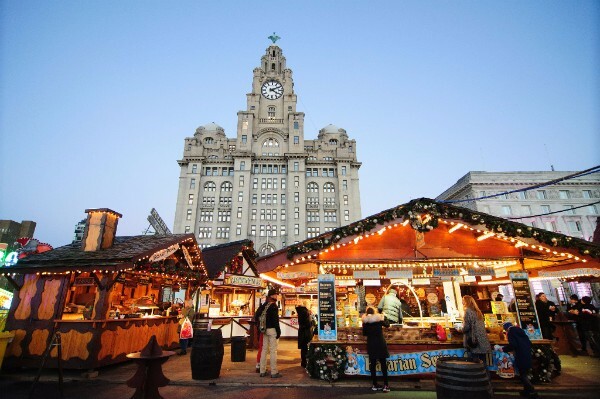 Last year’s event had over 142,000 visitors and this year is sure to be even bigger, as the Ice Festival is expanding to take over the entire Pier Head with even more stalls, bars and games plus an ice slide, rides and a bigger-than-ever ice rink, so even more people can get their skate on! There are still a small number of spaces available for artists, crafters and makers to set up stall for the entire Christmas period – details of how you can grab a discounted spot are included below. This year’s Ice Festival opens on 17 November, but you can set up your stall from the day before (full details will be provided when you book). Don’t fancy doing the whole thing on your own? If you’d like to book as a group or collective of artists, please do mention this in your initial email. For the first two weeks market stalls will only be open on the weekends – 18/19 and 25/26 November – before being open full time for the Christmas rush from 2 December onwards. From Monday 18 Dec the market will be open from 10am every day. It is, of course, closed on Christmas Day! If you’d like, you can choose to shut your stall down from 24 December or go the whole hog roast and stick around until 7 January to catch those committed post-Christmas shoppers. On-site security is included in the cost, plus a selection of Christmas-themed decorations for your stall space. Mains power is also included so feel free to BYO fairy lights!